Online payments - Our online payment services offer you flexible and secure tools to help run your business more effectively. Working capital- Capitalise on working capital opportunities for your business such as overdrafts and trade finance to boost your business efficiencies. International banking- Bank internationally with NatWest and take advantage of our wide range of services including cross-border payments & trade finance. Invoice finance- Sales linked invoice finance to expand your business, finance growth or fund acquisitions. 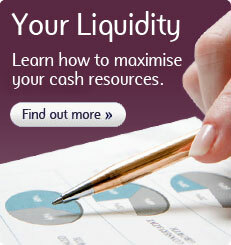 Asset finance- Easy to arrange asset finance from Lombard, the UK market leaders. Selling a business- Unlock value and realise your dreams by selling your business. Sector expertise- NatWest has sector experts in the healthcare, professionals, property and franchising sectors. Commercial mortgages- Flexible commercial mortgages including variable, fixed or LIBOR rates of interest to suit your needs. Commercial exchange rates - give business customers a better deal when buying or selling foreign currency for non cash transactions.